Global Village Studio explores the Triangle of North Carolina. 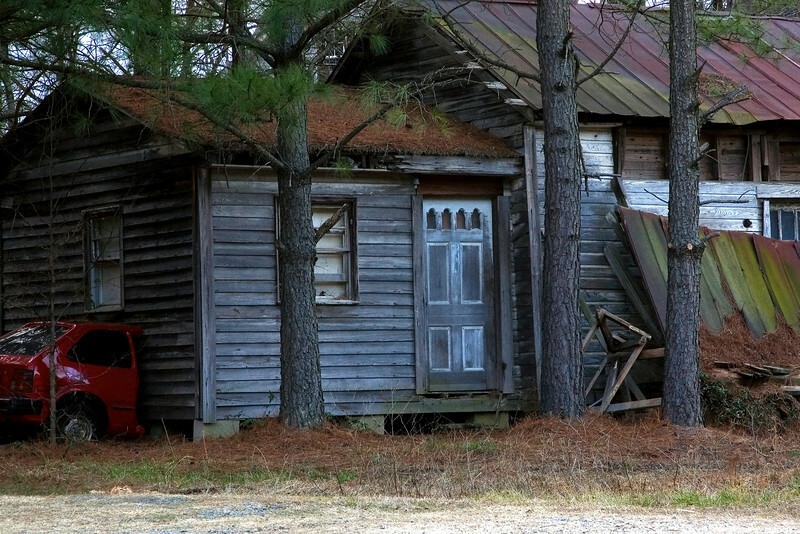 The red car has been next to this abandoned home in Morrisville for months. I thought I had better shoot it before the bulldozers arrived. Morrisville NC, is one of the fastest growing communities in the US. This is at Davis Hwy and McCrimmon Road.